Meet Muhammed bin Abi Amir, better known by his honorific title of al-Mansur (“the Victorious“). 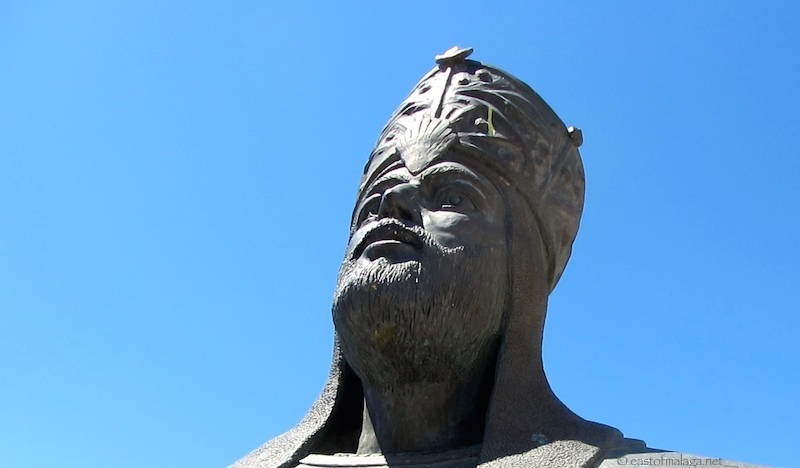 Almanzor (as he is known in Spain) was the military and political leader of al-Andalus, a medieval Muslim state, occupying, at the pinnacle of its power, most of what are today Spain, Portugal, Andorra and part of southern France. Born near Algeciras in southern Spain in the year 938 to an Arab family of Yemeni descent, Almanzor spent his early years at the family home in the village of Torrox (then known as Turrux), before moving to Córdoba to study law. His political career began with humble origins, though eventually Almanzor went on to become the leader of the Caliphate of Córdoba, devoted to destroying the Christian kingdoms of Spain by carrying out 56 raids between 978 and the time of his death in 1002. 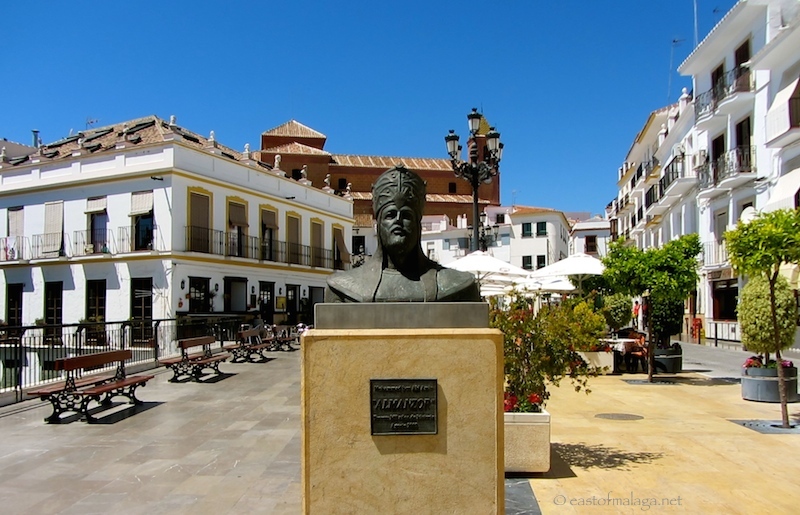 Almanzor is commemorated as a famous (some might say infamous) son of Torrox village, in the main square, Plaza de la Constitution. You can read more about Almanzor here and here. Who are the famous (or infamous) sons and daughters from your local village? This entry was tagged Andalucía, culture, East of Malaga, Europe, life, Malaga, photography, Religion, Spain, Torrox, travel, white villages. Bookmark the permalink. Terry Deary of Horrible Histories fame is from my hometown of Sunderland! This is a part of history that I know little about. Thanks for the lesson and links, Marianne. I googled him just now. Loved the 1980’s! Love your writing. Draws me in every time. Jonathan Pryce who played Kiera Knightly’s father in Pirates of the Caribbean.is from my local village though of course the most infamous may be the author who wrote some Barsetshire Diary books a few years ago……..
Great photos – lovely sky! Days of the sword, and still men fight wars. Very interesting man! I have been to some of those places, and found that period of history fascinating. Thanks for sharing an intriguing post. You’re welcome, Naomi. Glad you enjoyed it. now there’s a good question to ask. Famous sons and daughters. I suppose the most famous would be Nelson Mandela if I think of my SA years. But thinking back to my UK life, now this is really going off on a tangent, Limahl from Kajagoogoo used to live in my home town of Leighton Buzzard. WooHoo! Now there’s quite a difference between those two! !